Home » promotions » Hot Import Nights HIN Los Angeles Dicount Tickets! 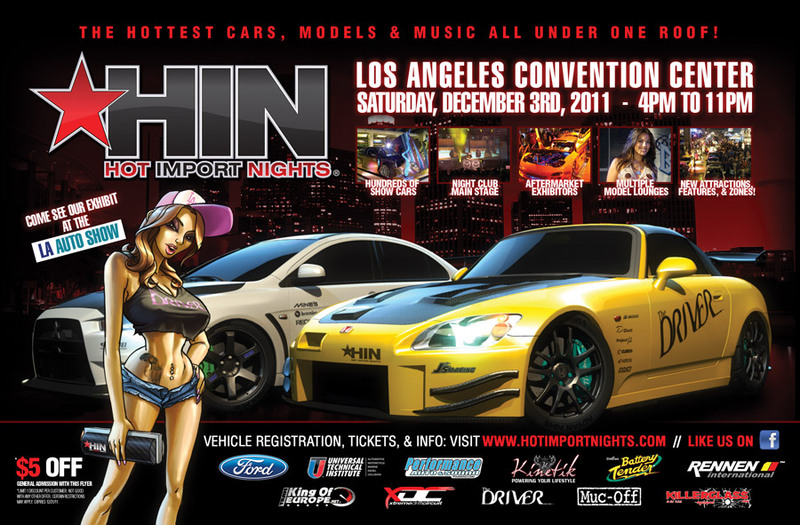 Hot Import Nights HIN Los Angeles Dicount Tickets! 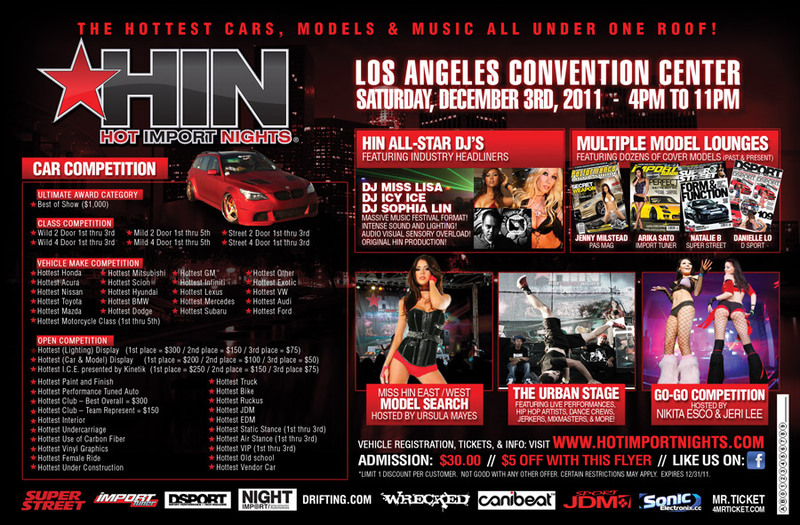 HIN makes the RETURN to none other than the Los Angeles Convention Center! More space means more cars, vendors, models, and music to fill the entire hall. Centrally located in the heart of Downtown Los Angeles right next to LA LIVE, we’re bringing it back home! Get ready for the New Era of HIN and witness an all new production with Original Flavor! HD Sound, Intense Lighting, 360 degree Visuals, along side hundreds of the HOTTEST Show cars on the planet! The Countdown Begins. December 3rd. Saturday. 4pm to 11pm. USE DISCOUNT CODE "ModelVanity" for your discount.